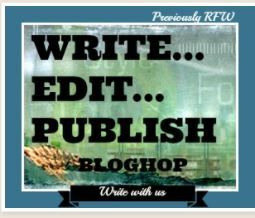 It’s the first Wednesday of the month and so it is once again time for the IWSG Blog Hop. I would like to thank Alex Cavanaugh and also the other members of this wonderful group for making this possible and for the support they provide. Special thanks to the co-hosts of the January 3, 2018, posting of the ISWG: Tyrean Martinson, Ellen @ The Cynical Sailor, Megan Morgan, Jennifer Lane, and Rachna Chhabria! One of the most challenging steps for an insecure writer is putting your writing out there for reviews and critiques but it is also one of the best things you can do to help your growth as a writer. Conversely, giving reviews and critiques to other writers is also one of the best things you can do for your own writing skills. Giving reviews can help you develop your analytical skills and apply those skills to your own writing. 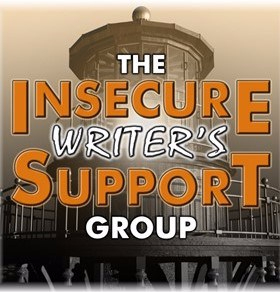 The most significant experience that helped me begin the process of overcoming the fear of putting my writing out into the world to be read, reviewed, critiqued, criticized, loved or hated was agreeing to be a beta reader for another writer. The writer was young and it was the first novel for this writer. I’m not sure if the writer was male or female so I’m just going to use the pronoun she for simplicity. She lived a half a world away but with the internet, I now know authors and writers all over the planet. She was having trouble finding beta readers for her WIP (work in progress). I had no experience with being a beta reader at that time but I’m an avid reader, I’d written several novels, and I’d taken novel writing classes from successful authors. So, I thought, why not agree to read her book and I volunteered. I also found several groups of beta readers and gave her the names and links to the groups. She ended up with about two dozen beta readers. I received the manuscript and after reading the first two chapters, I wanted to jump out of a window of a very tall building for agreeing to do this. I slogged through 8 more chapters because I had made a commitment. At that point, I just gave up. I had read calculus textbooks that elicited more emotion. I tortured myself for days wondering how I was going to give her feedback on her novel without being a total jerk. By putting myself in her shoes, trying to see the story through her eyes, and by assuming she wanted honest feedback on how to improve her work, I eventually found a method that worked in this case. I was thanked profusely for being the only beta reader that gave her useful feedback. I was told that the other beta readers that bothered to respond came back with responses like “looks good” or “sounds fine.” Not being able to get useful and helpful reviews and critiques is an issue I’ve heard from a number of writers. I’ve decided to write a short series of posts regarding this issue. This experience helped me to understand that I had to overcome some of my insecurities about putting my writing out there for reviews if I wanted to take another step in improving my writing. I so agree with you. I have learned a lot by critiquing other writers, and I am in one writing group and a member of a critique circle where I put my writing out there and in turn I critique other writers. With critiques and writing classes, and of course reading which is a matter of fact for me, I discovered my own voice. Especially critiques helped me to discover who I am as a writer. I enjoyed reading your article. It was very informative. Thanks for reading my post! Happy New Year! I learned tons (and continue to learn tons) beta reading for others. It’s so scary to put yourself out there to be critiqued by others, but so worth it in the end. Look forward to reading the rest of your series. Thanks for reading and commenting on my post. It is scary putting yourself out there for reviews and critiques. I find it’s easier with some writing than with others. Even the reviews I’ve received that were just rude and insulting and offered no useful feedback were helpful. I learned how to ignore those people and realize that those so called reviews had nothing to do with my writing. It was just about their issues. Thanks so much for reblogging. It is really appreciated! • Subject matter not interesting. • Word choice too simple / complex. • Lacking tension, conflict, jeopardy. • Dialog is not genuine nor engaging. • Setting and scenery is scant or burdensome. • The overall plot is not evident, established or awaited. And lastly, the page number on which you decided you’d had enough, couldn’t take it anymore and hand to quit. That last point is critical. And imperative. Do not force your beta readers to read what they can’t endure. You’ll lose them and never be able to regain their trust. The fact that you read to chapter eight – heroic! Don’t do it, though. Quit when you feel you’ve done your part. And that will be enough. Everyone — EVERYONE — has tastes that cannot be accounted for. You will be shat upon by some and, for the same work, heralded by others as the next John Patterson or JK Rowling. I find that every opinion holds merit. When I can get someone who hates my genre and subject matter, to read to the point where they say, “I just don’t like Sci-Fi or fantasy or horror or spec. fiction” — then yeay! I’ve sent them down a road where at least my writing has not failed me; that it’s THEM whose tastes now preclude them from enjoying my story. Praise is all good and well. But great critical replies are far and few between; wait a minute, reverse that. Odd that you’ve got IWSG transposed into ISWG… (which you might want to fix). Thank you so much for your great response. That is great information! And thanks for pointing out the transposed letters. Thanks again for reading and responding to my post. This is a wonderful post, and thanks to K.D. Dowdall for pointing it out to me. Thanks for reading and responding to my post! I believe in taking the job of a beta reader as seriously as I would any commitment. It’s just that simple. I agree with that 100%. Thanks for reading and responding to my post! I appreciate everyone’s feedback! Previous Previous post: Quotations on Books!